Tis the season, it is the time for family and get-togethers a time to spend with your loved ones a time for food fun and family. Do you have your easy appetizer ideas ready for your holiday parties? Are you prepared for upcoming football parties and especially the biggest game in February? Well, what if I told you there was an affordable appetizer that is already ready to go and can make the start of your party planning stress-free? You all are going to love the amazing Hormel Gatherings® Party Trays! With three large party trays to choose from these ready-made delights will make a game day or any family occasion appetizer quick and easy! We were very fortunate to be able to check out one of the great party trays, the Hormel Gatherings® Party Tray, Supreme. This tray was FILLED with wonderful party snack options including, Peloponnese country pitted olive mix, Hormel hard salami, Sargento sliced colby jack cheese, Sargento sliced pepper jack cheese, and Keebler Townhouse crackers. All of these items were brand names you know and love, there were no cheap items or off brands in this pack. The supreme tray retails for $15.98 so with the size of this tray you really get a bang for your buck. We have a family get together often and the most recent was Thanksgiving, and I wanted to take this time to share this awesome party tray with my family and friends. What I liked the most about this tray was the simple set up, there was no shopping around for meats and cutting up cheese, no making sure we have enough crackers... With the Hormel Gatherings® Party Trays, it is easy, pretty much a one-two-three and bam this is ready to serve. All you have to do is open the individually wrapped freshness bags, for the individual items on the tray and that is it! The trays are great for a party of 8, and my party was ready to dig in! You know even though there is a bunch of food on Thanksgiving the food is usually not ready when the guests arrive, and they come hungry... Having this Supreme Hormel Gatherings® Party Tray, was just what they needed to snack on. My guests loved the different types of salami, and the cheese some snacked on cracker sandwiches and some just grabbed some cheese or meat and mingled. Having one of the Hormel Gatherings® Party Trays really made my time as a hostess easier, and of course, I enjoyed snacking on the cheese/meat as well. This is something I will surely buy again and I would highly suggest picking one up for your next family get-together or game day! The generous folks at Hormel are giving one of Susan's Disney Family readers a chance to win a coupon for a FREE Hormel Gatherings® Party Tray (Coupon is valid until 1/31/18 so you will have to plan your party soon) a $15.00 value. Would you like to enter? Please let me know what type of party/get together would you like to host and serve this Hormel Gatherings® Party Tray. There are also other ways to enter, please enter below. Like Hormel Gatherings® on Facebook, Follow Hormel Gatherings® on Pinterest and follow Hormel Gatherings® Hormel Gatherings® on YouTube. You can purchase the Party Trays at Walmart, or use http://www.hormel.com/Locator to locate the store nearest you. One winner will win a coupon for a Hormel Gatherings® Party Tray a $15.00 value. I would like to serve the Hormel Gathers tray at our Christmas party for our friends. I have a large family so just getting together after a child's Christmas play would be a great to use this tray. We always do a snack appetizer type day for foods on Christmas day after breakfast. 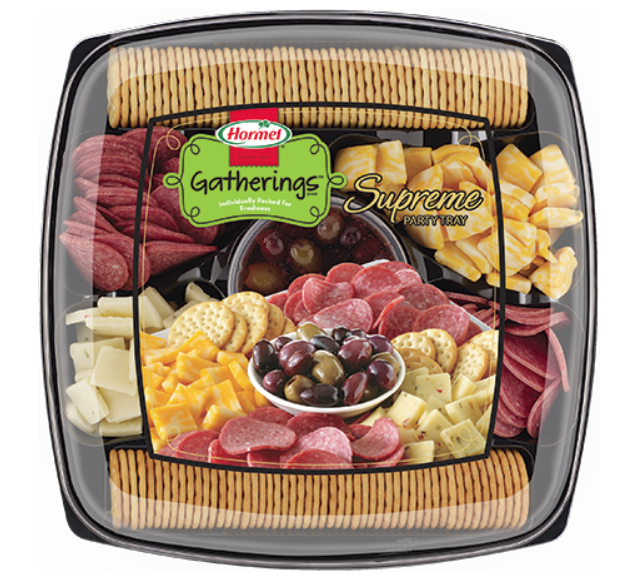 The Hormel Gatherings Party Tray would be an excellent addition to that. I'd love to serve it while everyone's decorating the Christmas tree. This tray would be perfect for holiday gatherings with family and friends. I would love to serve this fantastic Hormel Gatherings Party Tray for my monthly book club meeting. This would be great for the holidays and game days! This will be great for Christmas Eve. I never knew Hormel made party trays like this! I love having another option when having a party on what appetizer and brand to chose from. 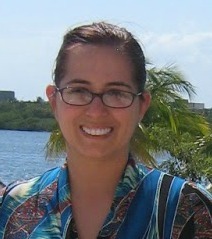 I would like to get together with my three sons and their wife's ! I don't really like having people over, so I think I would use these for our family game nights. I would love this for a family bbq! I would like to serve this platter for New Year Eve. I would love to serve this at our next Christmas party. I would serve this with Christmas brunch. I would like to serve the Hormel Gathers tray at my Christmas party with family and friends. The ham and turkey Gathers tray looks soooo good. I can also count on Hormel quality. I would love to serve this Hormel Gathers tray at my workplace holiday party! I would serve this tray for our New Year's Eve celebration. I would put this out for Christmas Eve. This Hormel Gatherings tray would be perfect for a before Christmas dinner appetizer. I think this would be great for any get together but we usually do a snack and drinks get together on New Years Eve waiting for the ball to drop and this would be a perfect choice! This would be perfect for the Christmas family party. Love Hormel trays. This tray also would be great for our Christmas celebration. I would serve this for our Christmas Day open house. I would bring this to a family friends Christmas party I am going to. We enjoy these for a simple dinner -- no cooking involved! Oh I would love to have these for when relatives come over Christmas Eve...we always do appetizers...this would be perfect! I would like to serve this at our New Year's Day celebration. I would bring this to the Christmas get together. I would serve this on one of our game nights. I have people coming over for Christmas Eve. I have dinner to be made, but this would be great for the before-dinner festivities of games and movies. I have a girls night event every month with my friends and I would serve it then! I'd use this on Christmas eve before the main dinner so that people don't get too hungry waiting.